Maybe Hellkite Tyrant , Treasure Nabber and/or Vanquisher's Banner would help here. 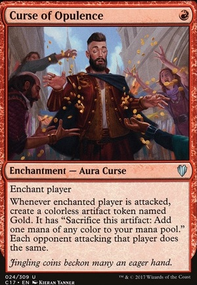 Add a Krark-Clan Ironworks to get more mana out of your treasure tokens or to sacrifice the manarocks you stole with Treasure Nabber after you tapped the for mana to get even more mana out of them and slow down your opponents. I am skeptic about Treasure Nabber . You can't use the rocks the same why Thrasios dose. I see what you wanna do with Shocker . But I am skeptic. Have you had any cool results so fare with that? Maybe this will give you some inspiration. In light of recent events, made a few changes. Goblin Assassin - It's been a while since I heard some groans out of my regular playgroup. Time to bring this back. Light Up the Stage - "Draw" effects like this and Commune with Lava are fantastic effects to pile on, especially as easy as it is to trigger the Spectacle. Massive Raid - Doubling up on the Goblin War Strike effect because it is very, very potent. 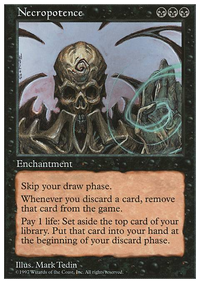 Fervor - Harder to remove than Hammer of Purphoros , and we don't need the artifact count for Mox Opal anymore. Swiftfoot Boots - I've never had a good reason for not having both boots in here, when I run both in literally every other deck and it is arguably more important in this one. Howling Mine for Light Up the Stage - Not benefiting opponents whenever possible is the biggest reason for this switch. 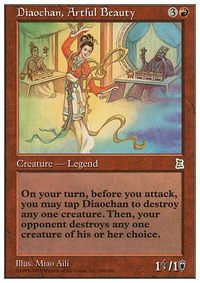 Also, Mine tends to get removed fairly soon after casting, so the number of cards over time that each spell would gain isn't actually that different. Hammer of Purphoros out for Fervor - Harder to remove, don't care about artifact count anymore. Mycosynth Lattice out for Massive Raid - This was just a temporary troll include, so back to something I've been wanted to add for a while, more pain! 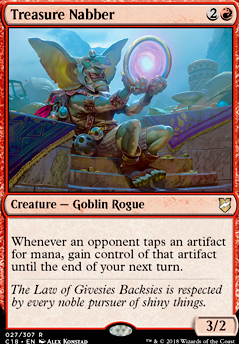 Treasure Nabber out for Goblin Assassin - This is a very meta dependent include, but it just didn't pull its weight in mine, as my opponents don't use a ton of mana rocks, and Lattice was never going to be in the deck forever. Feldon of the Third Path out for Swiftfoot Boots - This change hurts to make, as the potential for Feldon is so high, but I just never got to use him how I wanted. 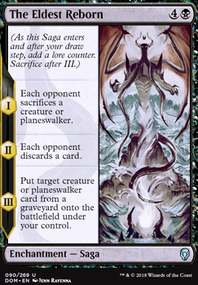 The whole deck is built to double or triple up on effects so that it can roll with the punches and rebuild after wipes, so recurring a particular creature was never that big of a deal. Going with the boots just kind of prevents some of those creature deaths from happening in the first place, and speeds some of the combos up a bit. If you have the deck, definitely don't remove Feldon lightly, and depending on your meta or playstyle, don't remove him at all. empireScum: A few comments back into the archive I mention that Mycosynth Lattice is purely a card for trolling my regular playgroup. 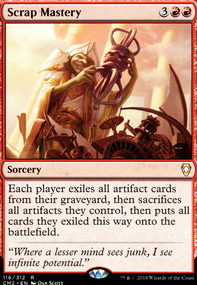 I use it with Goblin Welder , Treasure Nabber , and Vandalblast . It definitely isn't something I would normally run, I just like to always have this list reflect the exact one I am playing at the moment. Hey there! I was drifting around the forum looking for an idea for an artifact commander and stumbled upon this. 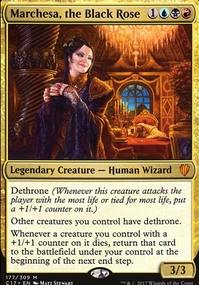 Grixis is easily my favorite combination and I already have a Jeleva Slim that I pilot when I wanna go ham. But THIS is super cool. Storm is one of my favorite play styles so artifact storm sounds like it was just meant to be! Only things I could maybe see finding a spot are Walking Ballista mainly for situations where you can generate infinite colorless mana. Just drop him down and kill everyone on the spot. For the giggles you could also add Treasure Nabber since you're already running Mycosynth Lattice . Borrow your friends lands to ramp for a turn and if they got rocks you can always use and sac them for some of your own effects.